There are 50 pre-built racks, but this one steals our hearts – a Buchla Easel-inspired creation. BLOCKS PRIMES – Blocks Easel. Native Instruments got its start building a modular, building-block tool for making your own synths and effects (Generator, which grew into today’s Reaktor). So patching has always been part of the company’s DNA – to the point that Reaktor is still frequently used (as far as I know) for prototyping new tools internally. But these are really development tools. Unless you’re part of a small group of people who get really fluent in Reaktor, you probably separate the “I’m building a tool” phase of work from the “now I’m making a track” or “now I’m going to try playing.” One nice aspect of Reaktor is that the interface acknowledges this: there’s a separate view for patching together your creation (the Structure), and a different view with all the bits with knobs you turn and so on (the Panel). And that’s often a good thing, as Reaktor ensembles now can get down to the level of DSP processing, meaning the Structure can be layers deep and expansive. This also makes sense in the world of the computer, where you’ll never run out of patch cords or modules or knobs or physical space – only CPU power or memory. Hardware modular is normally designed differently. Modules usually aren’t just doing a simple task like mixing two signals; they combine a number of functions into a musical whole. It’s still a tool, and still only a component of a larger instrument, but that component is more likely to be higher-level – a particular kind of filter, a sequencer, a reverb – and with a pre-selected set of parameters you might want to control. And most importantly, patching here is on the front panel. Patching in traditional hardware and software development happens under the hood, but patching a modular can be part of playing it. 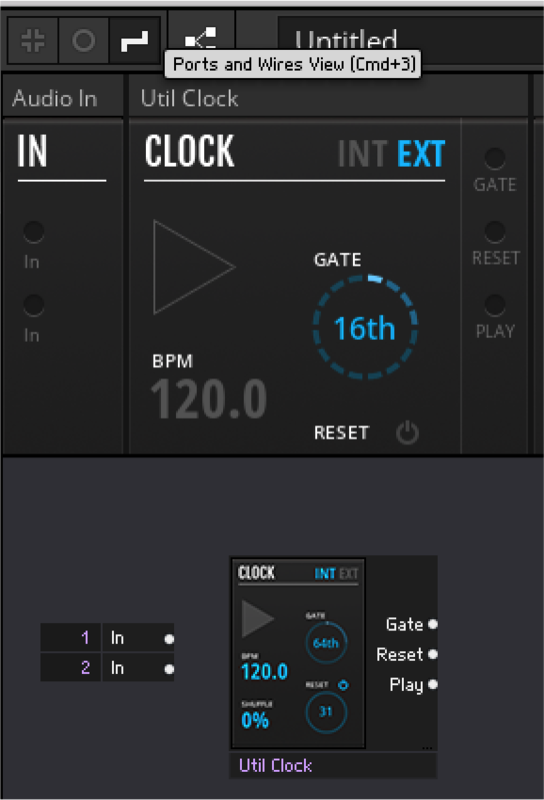 The cool thing about Reaktor Blocks was that it added just this sort of interface, plus a bunch of amazing-sounding modules using the latest NI tech in analog modeling and digital techniques. And while other tools do this, too (VCV Rack, Softube Modular, Voltage Modular, and long before that Propellerhead Reason) – you didn’t have to give up any of the power under the hood. It’s still Reaktor, through and through. The less-cool thing about Reaktor Blocks – until now – was that it forced you to dive into the Structure to change anything. And that just feels wrong – you lose that feeling of easy patching you get with hardware. No more. You can now patch on the front panel. So that’s why today’s Reaktor 6.3 update is very big news, hiding behind a very small version number change. 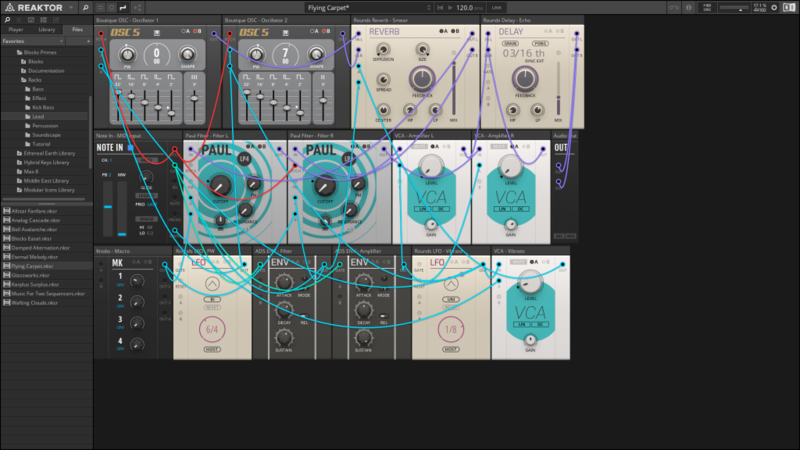 If you own Reaktor, you get front-panel patching and a bunch of modules for free. Holy trinity, Batman! Now you get patching on the front panel (top, and in the new toolbar button), plus the old-fashioned way (bottom) in the Structure. And the two work together – whether you’re peeking under the hood or not. So that patch cable I just drew from the host sync (say, your clock in Ableton Live) now is reflected in a patch in the structure underneath. In Player, you won’t see this – and even in Reaktor, you don’t have to. But it’s there, and there’s nothing else quite like it. 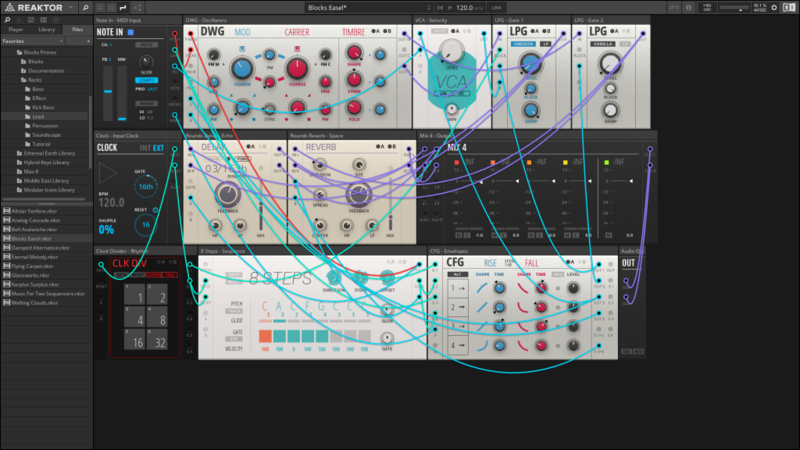 If Blocks got you thinking of Reaktor as a rack of modules, and not just a software display for patching, you’ll like the additions in this update. Now when you first load Reaktor, you even get a screen that indicates that Native Instruments now understands that people use Reaktor in different ways. There’s “play”: some people just want to play pre-built ensembles – using the power of Reaktor’s ability to create anything, just letting, you know, someone else build it for them. (Hey, you can always go hack together these things later!) There’s “patch” – this is the high-level, musician-friendly modular level represented by Blocks and heavily influenced by Eurorack. And there’s “Build” – basically, Reaktor as we knew it before. Despite the splash screen, the great thing about Reaktor remains that those levels aren’t actually segregated in any way, provided you have a full license and not just Player. NI are just helping you imagine, navigate, and use those different levels more easily. Each is always one click or one keyboard shortcut away. It’s really the “Rack” idea that’s exciting. There’s a new “Ports and Wires” view right on the toolbar, and the ability to create a new Rack. Inside, it’s the Reaktor 6 and Reaktor Blocks you already know – so everything is just as editable as before. It’s just better organized if you’re into Blocks. Tons and tons and tons of content in there – modules, example patches, tutorials, and so on. Even the free version has plenty to play with and use for learning. 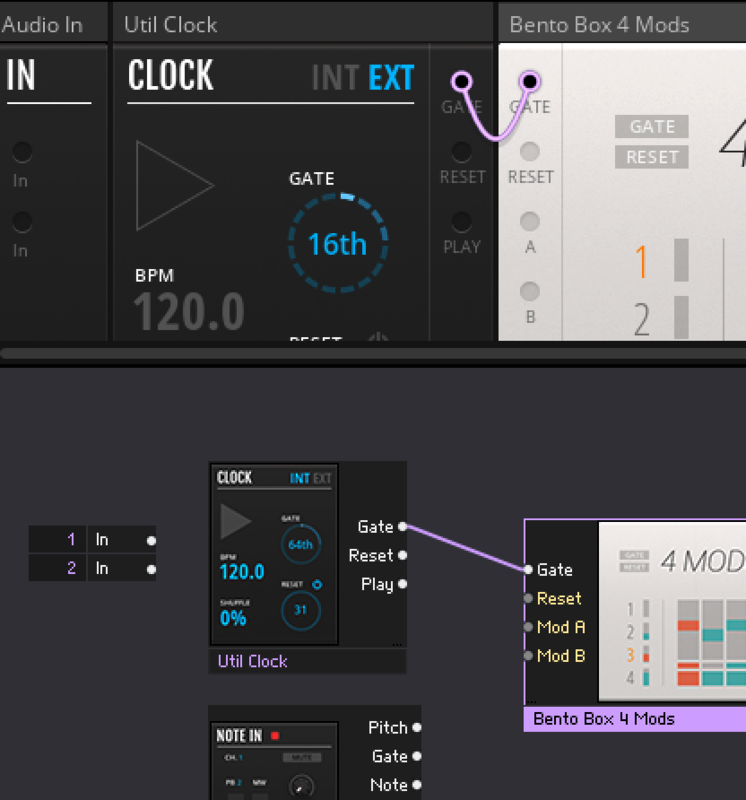 Blocks BASE is the 24-module starter kit, plus 35 preset racks. Even in Reaktor Player, you can modify and re-patch these tools, now totally for free. For getting started learning synthesis, Base has you covered – without spending a penny. Here’s a free example on amplitude modulation. Sinister Sauce, one of the examples included in the free edition. There’s already a nice tutorial, with additive and subtractive synthesis, amplitude and frequency modulation, and some more far-out techniques covered – suitable for beginners but pretty interesting even to advanced users. In fact, I’m going to force myself to build some interesting patches with just these, even though I have the full Reaktor license. They’re organized neatly into a subfolder, and I figure it’s a chance to improve my patching chops without being overwhelmed by options. It’s also a greatest hits of NI in a way – with the gritty distorted DRIVER filter, a sequencer from MASSIVE, Minimoog-inspired oscillators and filter from MONARK, and so on. There’s a ton of stuff there – West Coast, East Coast, coast of the river Spree, no coast: filters, a “multiwave oscillator,” clock divider and quantizer, a cool formant-based morphing filter, various sequencers, a comb filter, Rounds delay and reverb and LFO, and a dedicated West Coast selection with filter, envelope, oscillator, and sequencer (though some of the other modules could be used in a West Coast-style way, too). Flying Carpet, another tasty-looking example. Reaktor 6 users, this stuff will just magically show up when you update in Native Access. 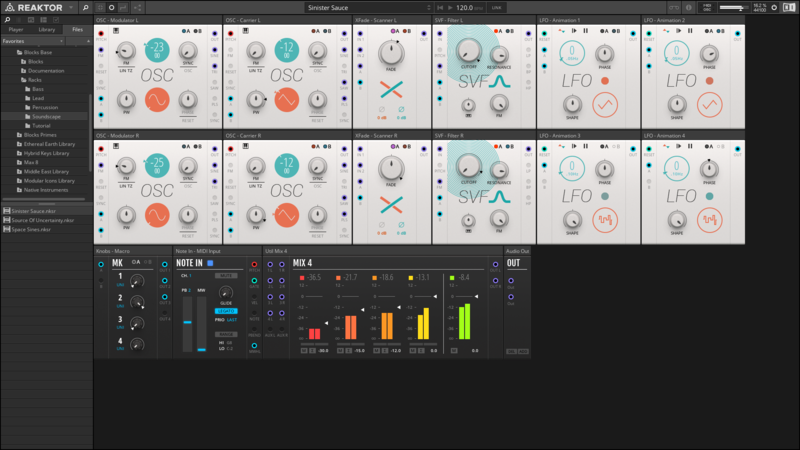 Blocks has already seen widespread interest as a platform for making new modules; it’s a format that can have its own UI, with the innards built in Reaktor. That also means that developers with existing Reaktor creation skills can transfer them here. Now we’re really seeing Blocks as a platform, where you might create and sell software modules for musicians. NI says they’ve got 200 modules on schedule for release in 2019, including some with a serious hardware pedigree – so far, they’re naming TOYBOX, Genki Instruments, Holonic Systems, ACL, and Michael Hettrick. These all run inside Reaktor 6, but also Reaktor 6 Player. That’s also a big development – in the past, making stuff for Reaktor meant your customers had to shell out a couple hundred bucks for Reaktor. That’s a pretty limited market. And competing rack propositions for developers are similar: Softube Modular, Propellerhead’s Rack Extensions, or Ableton’s Max for Live all require users to buy licenses. 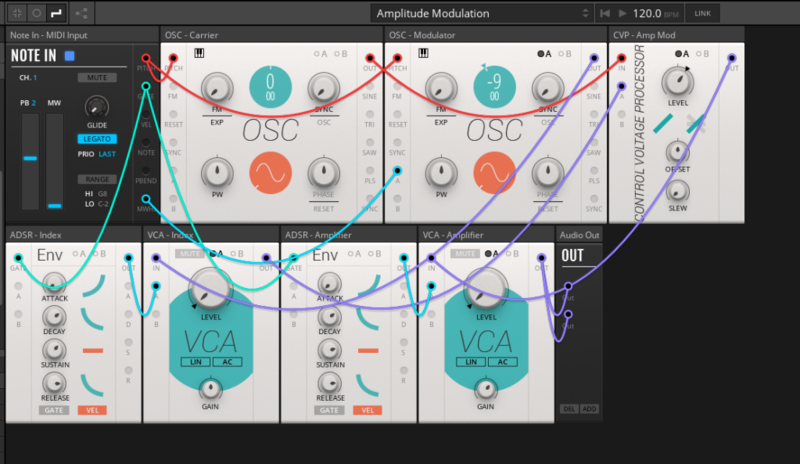 Reaktor Player (and VCV Rack) remain the two platforms you can target where your customers only buy your modules. There is one catch for now, though. The new Blocks format for now is only open to partnering developers, because of technical restrictions. 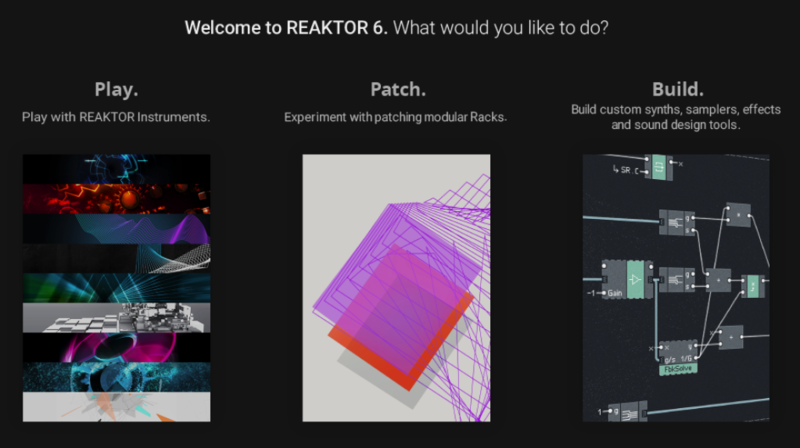 Native Instruments says they’re exploring how they may expand this functionality to the Reaktor community and Reaktor User Library contributors in the future, however. We’ll stay tuned for more details. All in all, this is a refreshing update, though. It’s actually nice that you don’t have to adapt to a significantly changed Reaktor 6. Your familiar modules are all there, the Reaktor features are all there, you can still drop in your favorite ensembles from years or decades ago. You just now can patch on the front panel and get a bunch of new modules and tutorials and examples. I think the thing to watch will be whether NI over time can build this as a successful developer platform, and harmonize the contributions of its user community – including those who are happy to make weird and non-commercial modules available for free. I’ll be sure to share more developments there and other resources into how to learn and use this thing. In the mean time, we have a lot to play with. I’ve been really happy with the test builds and can’t wait to dive deeper.